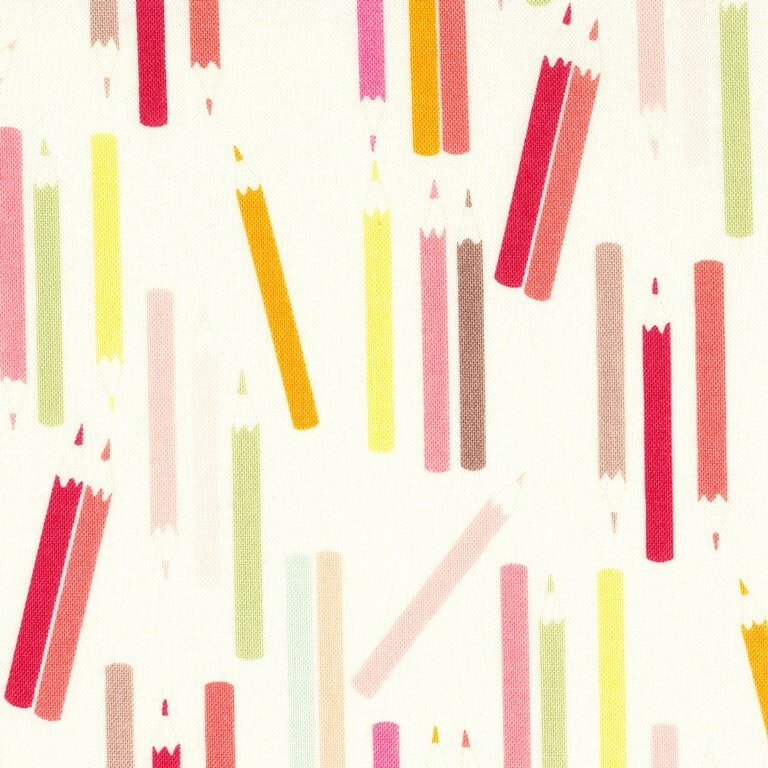 Alexander Henry My Pencils is a fun children's fabric featuring scattered coloured pencils. 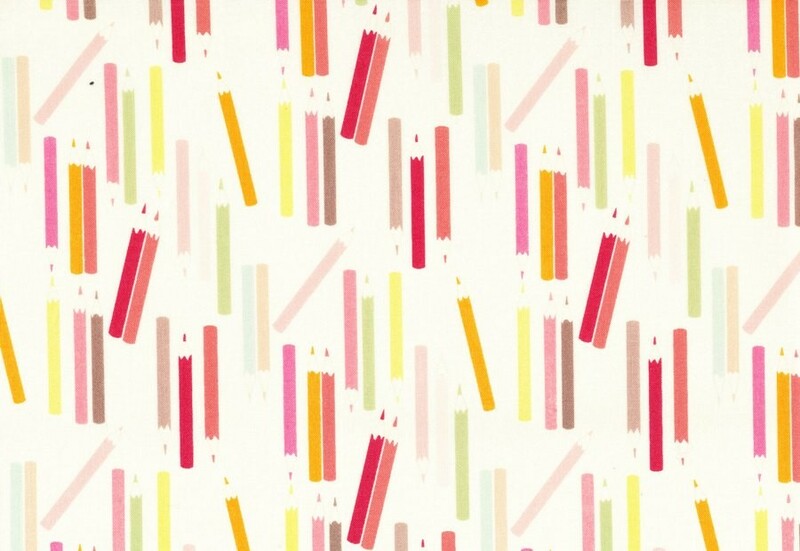 This design would look fabulous made up into a cushion or lampshade for a child's bedroom. Motif Size Pencils 5cm long x 0.5cm thick. Repeat 15cm pattern repeat down fabric length.